No matter where you are in London, if you’re in need of an expert electrician, plumber or Gas Safe registered engineer, look no further than H2 Property Services. We have over 14 years of experience providing unrivalled repair and installation services throughout the capital. H2 Property Services is still very much a family run business with a close-knit team of office staff and engineers. Because of this, we are able to offer our clients an attentive, punctual customer experience which other, larger companies simply cannot. 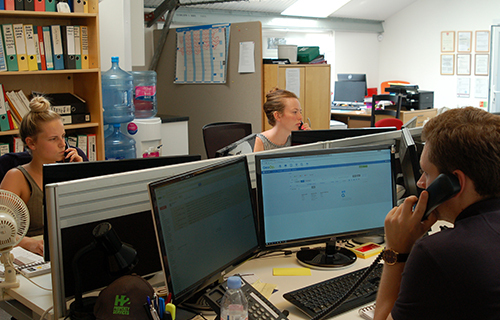 Our Administration Team is always on the end of the phone to take your call or will reply to your email query quickly. Our Office are responsible for booking in any work for you, help you with problems or getting the right engineer to you, fast. No job is too small for our friendly electricians, plumbers and gas engineers, and you can also expect competitive rates from us, too. We pride ourselves deeply on the quality of our work, which is why we’ll guarantee all work carried out by us for 12 months. Unlike other firms, every member of our team is employed directly, this means that none of our engineers are on commission, allowing us to keep our rates competitive for your benefit. If you’d like to find out more about H2 Property Services and how we can help you, simply contact our friendly team today!